In a historic solo dive to the bottom of the world, famed filmmaker and National Geographic Explorer-in-Residence James Cameron descended 35,756 feet (6.77 miles/10.89 km) to reach the "Challenger Deep," the ocean's deepest point located in the Mariana Trench some 200 miles (322 km) southwest of Guam on Monday, March 26. The descent voyage took two hours and 36 minutes from 5:15 a.m. until 7:52 a.m. local time. In his specially designed submersible DEEPSEA CHALLENGER, Cameron spent about three hours on the seafloor collecting photos and samples for scientific research in marine biology, microbiology, astrobiology, marine geology, and geophysics. In another first, he also tweeted from the seafloor under a crushing pressure of 16,285 psi (112,280 kPa). The vehicle surfaced at 12:00 noon local time and was retrieved by the Ship Mermaid Sapphire. "This journey is the culmination of more than seven years of planning for me and the amazing DEEPSEA CHALLENGE expedition team," said Cameron. "Most importantly, though, is the significance of pushing the boundaries of where humans can go, what they can see and how they can interpret it. Without the support of National Geographic and Rolex, and their unwavering belief that we could successfully make it to the deepest point in the ocean - and back - this would not have happened." 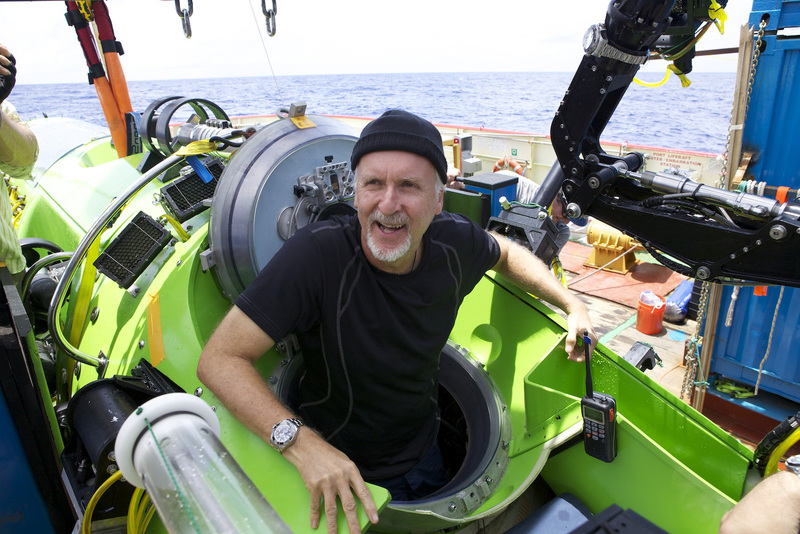 Filmmaker and National Geographic Explorer-in-Residence James Cameron emerges from the DEEPSEA CHALLENGER submersible after his successful solo dive to the Mariana Trench, the deepest part of the ocean. The dive was part of DEEPSEA CHALLENGE, a joint scientific expedition by Cameron, the National Geographic Society and Rolex to conduct deep-ocean research. The "Challenger Deep" has only been reached once before in a manned descent, on Jan. 23, 1960, by then U.S. Navy Lt. Don Walsh - who is a consultant on the DEEPSEA CHALLENGE expedition and was aboard the expedition ship Mermaid Sapphire during Cameron’s successful attempt - and Swiss oceanographer Jacques Piccard in the bathyscaphe Trieste. Walsh and Piccard spent about 20 minutes on the ocean floor before returning to the surface. "It takes the guts to go for it and the gear to get us there. Explorer James Cameron has plenty of both." Two of Cameron’s passions - filmmaking and diving - blend in his feature and documentary films. While working on Titanic, he took 12 submersible dives to the famed shipwreck two-and-a-half miles down in the North Atlantic. The technical success of that expedition led Cameron to form Earthship Productions, which develops films about ocean exploration and conservation. Since then he has led six expeditions, authored a forensic study of the Bismarck wreck site and done extensive 3-D imaging of deep hydrothermal vent sites along the Mid-Atlantic Ridge, the East Pacific Rise and the Sea of Cortez. 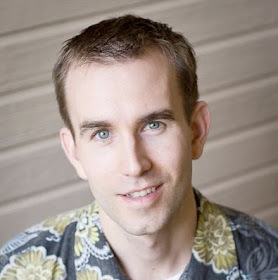 Cameron has made more than 70 deep submersible dives, including a total of 33 to Titanic. Fifty-one of these dives were in Russian Mir submersibles to depths of up to 3.03 miles (4.87 km). The DEEPSEA CHALLENGE expedition is being chronicled for a 3-D feature film for theatrical release on the intensive technological and scientific efforts behind this historic dive - which will subsequently be broadcast on the National Geographic Channel - and is being documented for National Geographic Magazine. Cameron also will collaborate with the National Geographic Society and the Alfred P. Sloan Foundation to create broad-based educational outreach materials. Scientific collaborators include the Scripps Institution of Oceanography, University of Hawaii, NASA Jet Propulsion Laboratory, and the University of Guam. Having been on an exciting Mariana Trench expedition of my own, I can appreciate what Cameron and his team went through. Some of my friends and colleagues completed their Ph.D.'s working on questions related to the Earth's deepest subduction zone. One of Cameron's scientific advisers assisting him on the expedition is Dr. Patricia Fryer, who happens to have advised one of my co-workers on his Ph.D. and is married to another co-worker of mine. She is also on the science team of Virgin Oceanic. The world of ocean exploration is as small as it is exciting! Follow the expedition at www.DEEPSEACHALLENGE.com, on Twitter @DeepChallenge or #deepseachallenge, or on Facebook @DeepSeaChallenge.